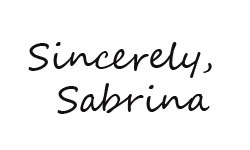 Sincerely, Sabrina: Take that, dryer monster! Perhaps I'm just a complete domestic fail, but I find myself losing quite a few shirts to the dryer monster. Y'know, that thing that tatters delicate materials, shrinks perfectly good clothes, and eats up missing socks. So to combat that, I've started to salvage my shrunken shirts. In my definition of DIY, I consider cutting off sleeves to be perfectly acceptable. So now, like the tartan piece in my photos, I have a bunch of vests and tank tops. That's right, dryer monster- you may have taken my single socks, but I've outsmarted you on the shirts! That's actually clever ! did u read the washing label of ur shirt lol ! Your shoes are gorgeous w the sharp heels! I'll be in pain if I walk in them. I love this look! very cute, comfy and casual. I can relate to you, I have messed up so many cute tops by accidentally shrinking them after washing them. I always hate when that happens. Hahaha! I hate it when the dryer ruins my clothes! The suspenders are an awesome touch! i LOVE that you wore suspenders on shorts--looks carefree and cute. and the floral&plaid mix is different and fun! how clever, turning old shirts into new tops and vests. it's a great way to salvage some old things! loving the way you pull off suspenders! Hey I nominated you for most versatile blogger award! I love the Gangsta chic suspenders! check out my blog for more info! what a smart way to combat the dryer! U look adorable!! love the suspenders!! Cute look. I was looking through your past posts and love your style. Want to follow each other? Ha! What a wonderful idea to do that with shrunken shirts! Oooh, love the suspenders over this tee. So fashionable! Great idea cutting them. Since I moved to the city I take my laundry down to a cleaner and she has manged to shrink quite a few of my favorite pieces I'll have to try saving them this way! thanks so much for visiting! you show that dryer monster ;) way to be resourceful! Lovely look girlie! It's great to be resourceful. When things shrink on me, I cuff 'em...pants and tops!